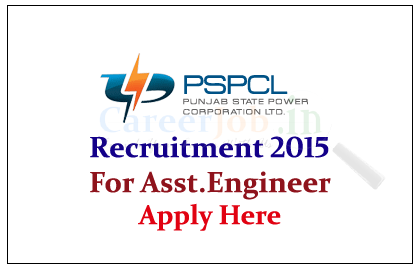 Punjab State Power Corporation limited is recruiting for the post of Assistant Engineer and Assistant Manager for the year 2015. Interested and Eligible candidate can apply here on or before 5th June 2015. Punjab State Power Corporation Limited (PSPCL) is the electricity generating company of the Government of Punjab state in India. Candidates who qualify in the GATE-2015 Examination as per norms fixed by PSPCL are eligible to apply for recruitment in PSPCL. Eligible candidates can apply on or before 05.06.2015. For more details kindly Check Official Notification.